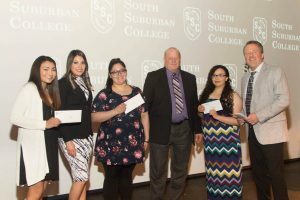 SOUTH HOLLAND, IL –The South Suburban College Foundation (SSCF) once again awarded over $100,000 in scholarship funds for Academic Year 2019 to local students at the college’s annual Academic Achievement Reception on May 8, 2018. In doing so, the SSC Foundation surpassed the $2 million milestone in total scholarships since it began awarding them in 1989. Whether the recipient is high school graduate, an unemployed resident looking for a career change, or a single parent pursuing their college degree for the first time, the SSCF offers scholarship assistance to all students in need. Many are struggling to balance family, employment, and school responsibilities while they are often unable to receive Financial Aid. Scholarship money is raised primarily through the annual spring Showcase Gala and fall Scholarship Donor Drive providing both a charitable gift opportunity and tax-deduction for all donors. Woloszyn added that the SSC Foundation has further assisted the college with nearly $1 million in other special student projects, facility and technology improvements that are otherwise not in the college budget. Making a donation can be an easy and affordable way to leave a lasting legacy–the SSCF staff works cooperatively with individuals and organizations to develop a donor plan of any level. New scholarships may also be established with naming rights or in memorial for a minimum of just $1,000. Donations may be made online from www.ssc.edu/foundation, via PayPal to foundation@ssc.edu, or via cash, check or bequest. At SSC, 90% of students fall under the low income, first generation or disabled criteria. Established in 1973, the SSCF is a philanthropic, not-for-profit organization chartered in the State of Illinois and is a 501(c)(3) tax exempt organization (EIN: 237191738). For more information, please contact the Foundation Office at (708) 596-2000, ext. 2463 or foundation@ssc.edu. 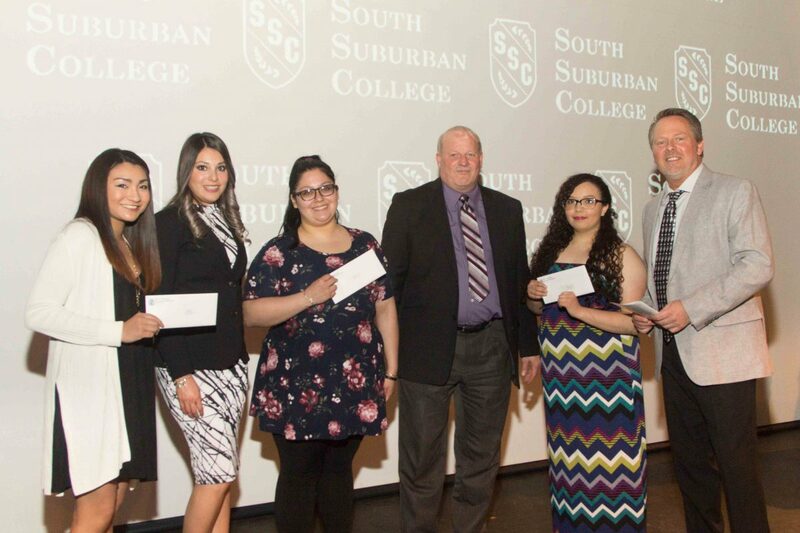 Illiana Financial Credit Union established and awarded three new scholarships to South Suburban College students at the SSC Foundation’s 2018 Academic Achievement Reception May 8th (recipients Lilly Martlink, Ivonne Hernandez, and Elizabeth Cervantes pictured with Illiana representatives).